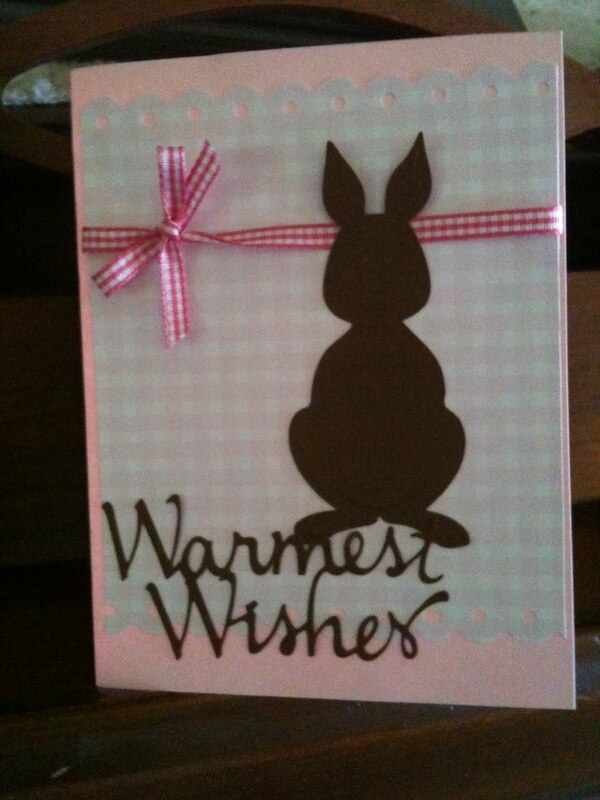 This is a card I made on Wednesday, March 31, 2010. 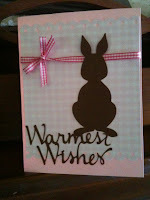 The rabbit is from "Doodle Charms" and the words are from "Jasmine." The ribbon, cardstock, and paper are from various brands.